A wise man will not utter every word which occurs to him. Whatever is procured in haste goes easily to waste. Speech is a perfection in the soul of man But do not ruin thyself by speaking. Lovers are killed by those they love so well; No voices from the slain return. 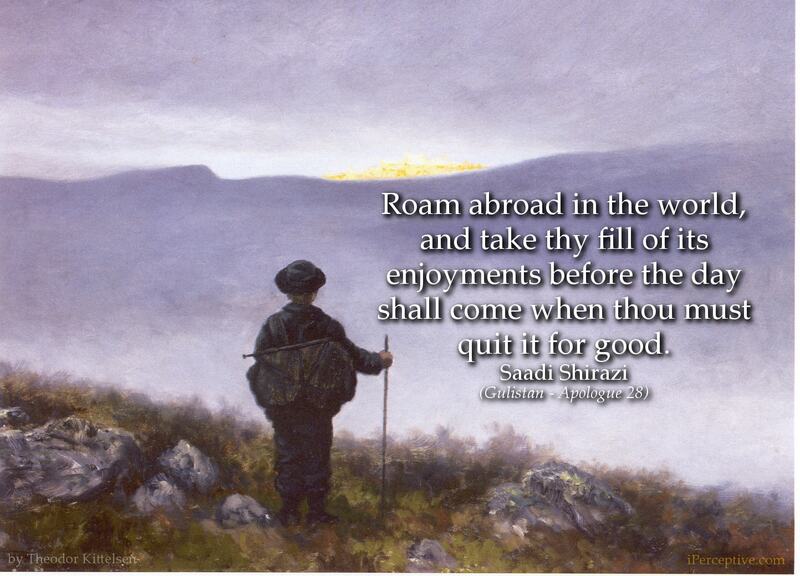 When in the eyes of the beloved riches count not, gold and dust are as one to thee. Alone is my heart, there dwelleth affection for my beloved, thus, it contains no room for malice. Use a sweet tongue, courtesy, and gentleness, and thou mayest manage to guide an elephant with a hair. Happy are the days of them that are infatuated by love for him, whether they be sorrowed by separation from Him or made joyous by His presence. His fault and virtue are concealed. Think not that every desert is empty. Possibly it may contain a sleeping tiger. Words have a head, O shrewd man, and a tail. Do not insert thy words between words of others. The possessor of deliberation, intelligence and shrewdness Does not say a word till he sees silence. But inconstant in fidelity to anyone. Who sing every moment to another rose. A woman who arises without satisfaction from a man Will raise many a quarrel and contention. An old man who is unable to rise from his place, Except by the aid of a stick, how can his own stick rise? 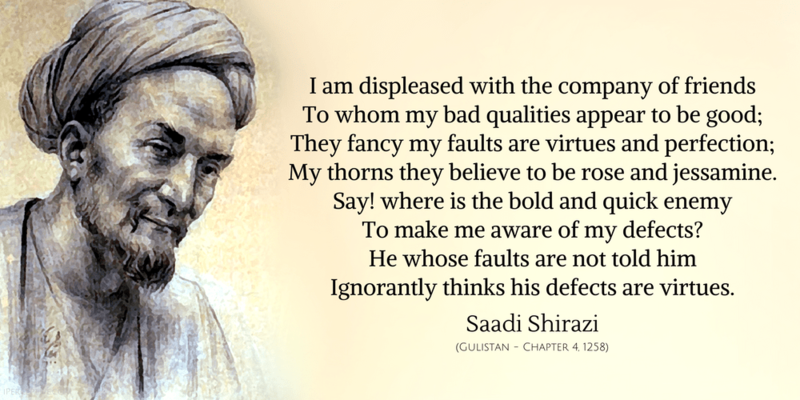 Ignorantly thinks his defects are virtues. Take my advice and learn patience. An Arab horse gallops twice in a race. A camel ambles gently night and day. 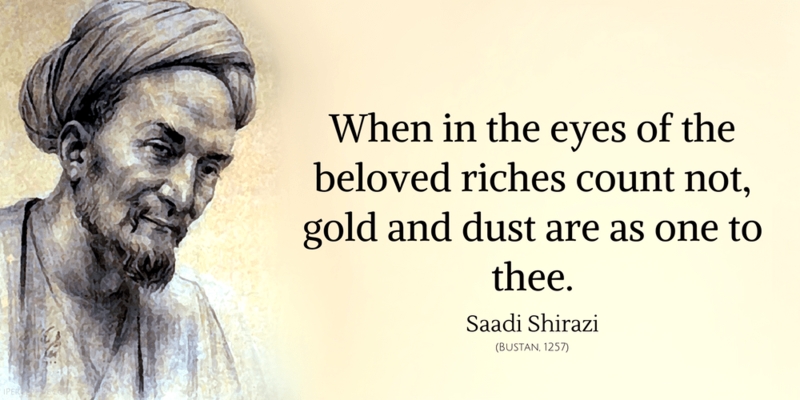 Saadi Shirazi was a highly influential Persian Sufi mystic poet and writer who lived in the 13th century. 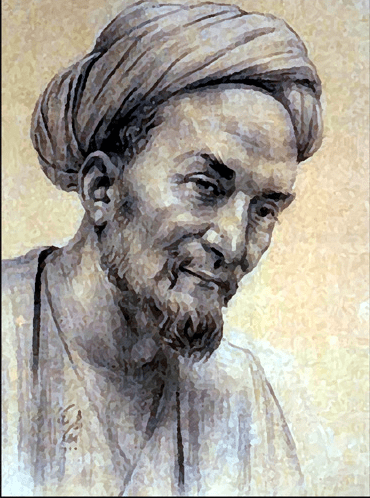 He is best known today for his works 'Gulistan', 'Bustan' and his extensive love poetry.